Our Oro Mosaico is made with small slices of the Murano Millefiori canes or mosaico. The slices and color vary bead to bead. 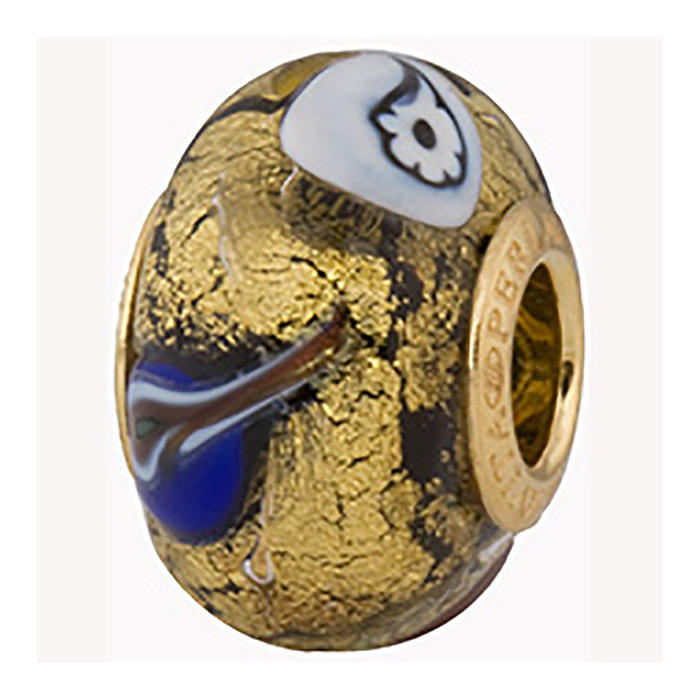 The base is a rich black Venetian Glass base with gold foil and the slices of cane are on top. Large hole bead with vermeil insert (24kt gold foil plate over sterling silver). Our own designs with exterior gold foil which may wear over time. Great shape approxmately 14x12mm. The hole inside these is approximately 5mm which will fit on Pandora Jewelry, Chamilia, Trollbeads, Biagi, LoveLinks.